In addition to sipping mimosas all day in my custom wine glass, I painted my nails on Mother's Day. 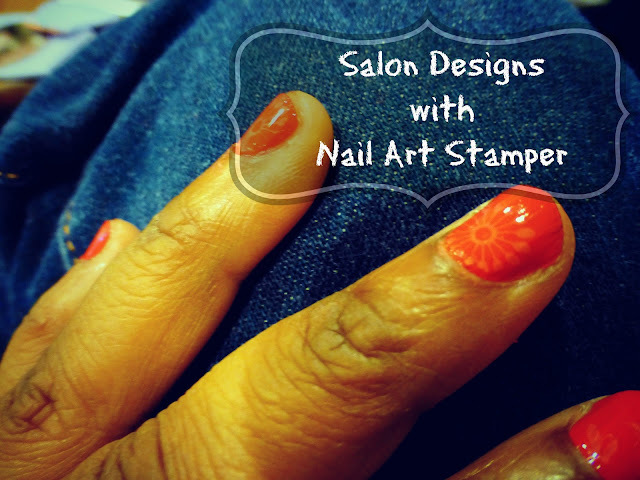 As an extra special treat to myself, I played around with my Salon Express Nail Art Stamping Kit. I've had it for a few months but was quite intimidated by it. When I tried to stamp my nails the first time, it was a big ol' glob of mess. Turns out I was doing it all wrong. The scraping part is a step you don't want to miss. In fact, it would be better to read the instructions. Which I did not. 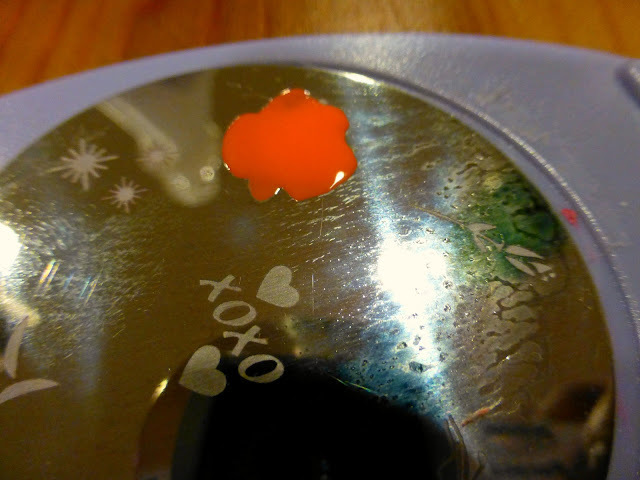 If you have a nail art stamper that isn't quite working out for you or you want to give it a try, let me break it down for you! Obviously you want to start off with a very clean manicured nail. I'm working with freshly washed hands. That's why my hands look like I've been sifting flour. Next apply a base coat. 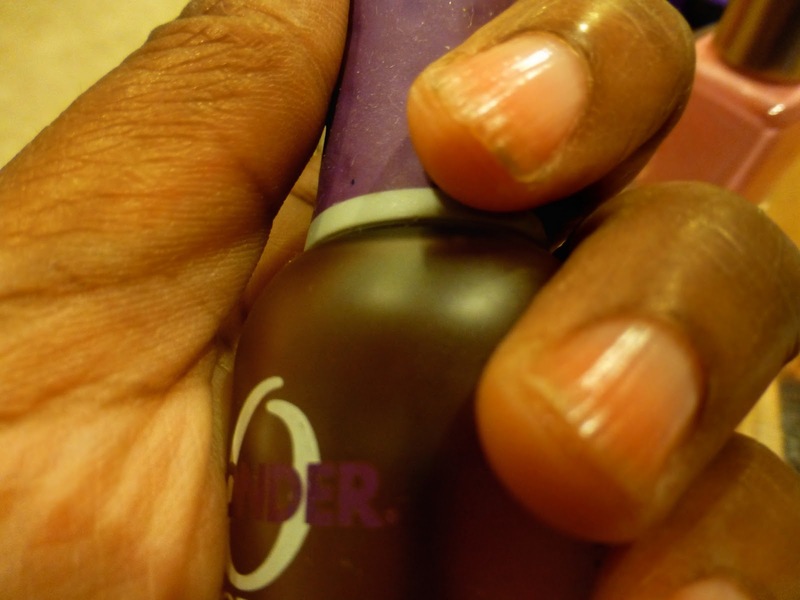 I used Orly's Bonder because it rocks! It gives the polish something to stick to and hopefully last longer. 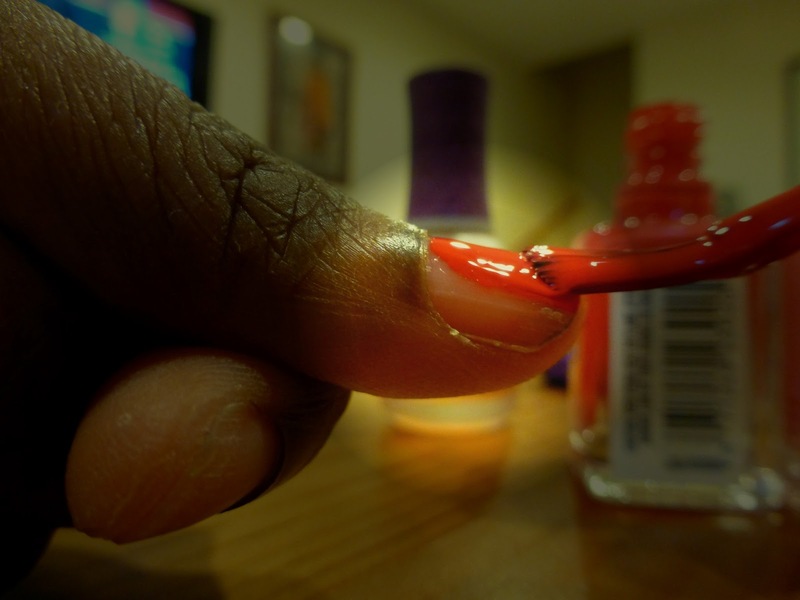 Apply two coats of color nail polish and let it dry. Really let it dry because the stamper will ruin the nice work you just did if it's damp. Ask me how I know. 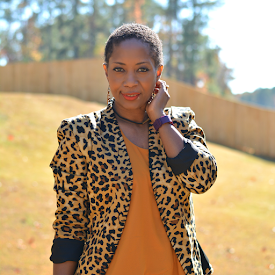 You can carefully (don't muss the nails!) prepare the nail plate. Put the nail plate you want in the holder. 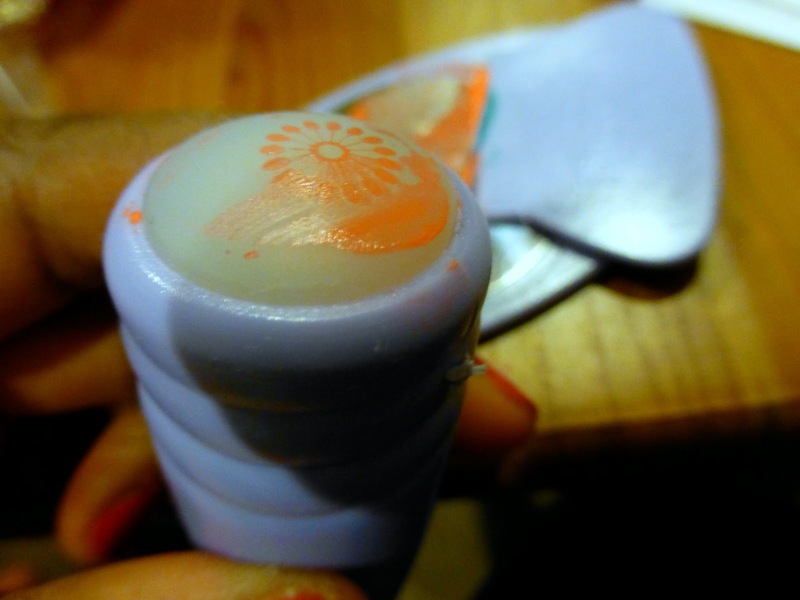 Apply your nail art color over the design you want to use and then scrape it off with the scraper. I thought I could just put the polish on the plate and then pick up the design with the stamper. No no no. It don't work that way. I was seriously going to trash it because I thought it was a cheap useless product. Glad I'm a hoarder I kept it. It does work. Just remember to scrape off the excess polish. Now pick up the design with the stamper. Here comes the fun part! In one fluid motion apply the design to your nail. Don't be afraid to use pressure and go slow. The slower I went the better the design adhered to the nail. Apply and top coat. Done. In my first polish, I only had 2 "viable" nails. The other ones looked really crappy. It wasn't very noticeable but I wanted to experiment. I did a do over and was able to apply on all nails. Even my right hand! However, my base nail color didn't cooperate and was very streaky. Oh wells. I'm flawed and so are my nails. Want to see more? Check out some of my other nail polish escapades or see my Varnish Pinterest board where I pin and pine over airbrushed cute nails. I wish I wasn't such a brat and would do my own nails haha. 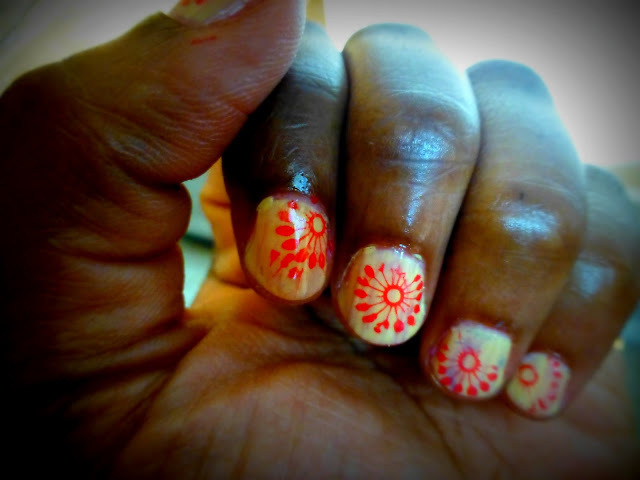 The nail art trend is just wiping people out, so many great looks! I saw that kit in the dollar store but I wasn't sure it would work. It looks pretty easy, I may give it a try!